Which category of IATTO Member is eligible for IATTO Accredited Trainer status? The status of ‘IATTO Accredited Trainer’ is awarded to Individual Members of IATTO who meet stated criteria evidencing their sound business/academic credentials, and their experience and expertise in delivering international trade training/education programmes. Individual Members interested in applying for Accredited Trainer status might be self-employed or providing a training* service for Institutional and/or Organisational Members of IATTO. What is required to become an IATTO Accredited Trainer? Documents that support the above must be provided – see APPENDIX 2 : Application for IATTO Accredited Trainer Status. Why become an IATTO Accredited Trainer? 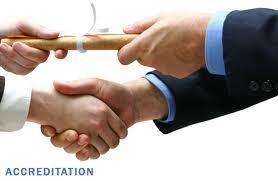 • It provides a competitive advantage over other international trade trainers that are not accredited by IATTO. • It improves a trainer’s prospects of securing full-time or part-time positions in other countries (language differences permitting). • it encourages individuals to keep up to date with developments in (1) their particular field of expertise and (2) in the training and education environment in general.